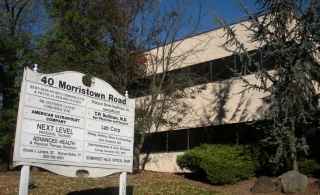 Bernardsville Pediatrics is located near the center of Bernardsville, on the second floor (suite 2D) of the Bernards Square Medical Professional building, just down the hall from LabCorp. The building is next to the Peapack-Gladstone Bank and across the street from the Bernardsville Animal Hospital. For our office hours click here. Get Directions using Google Maps - click here.